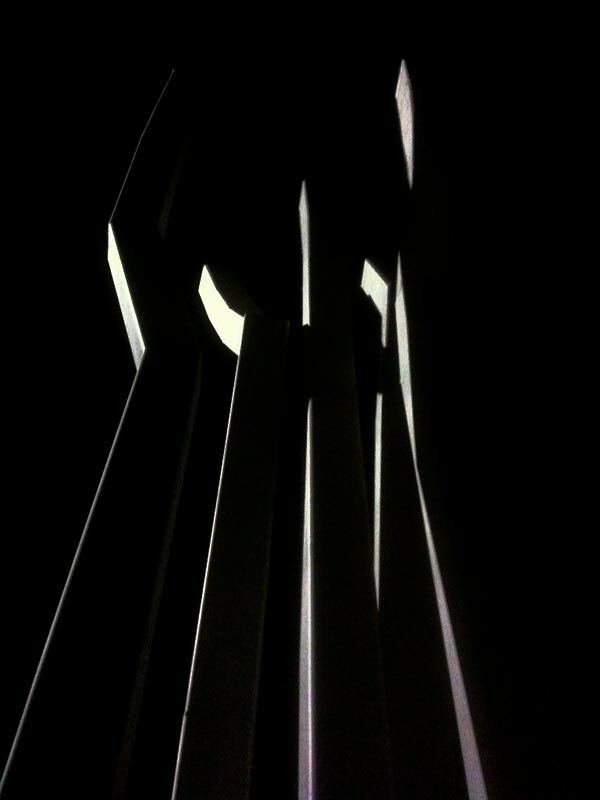 Above: "Reach" Dedicated in May 25, 2011. Above: "Reach" at night - photo by Rocco Ricci. 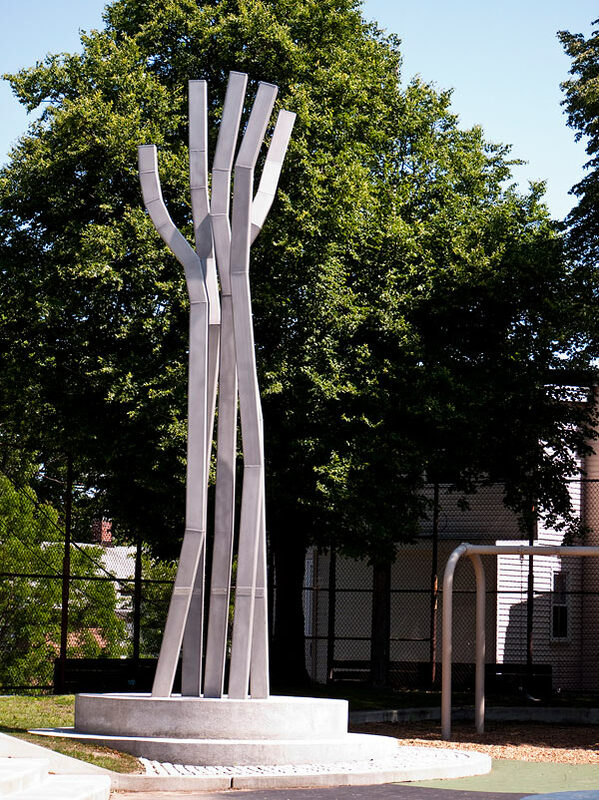 In November 2009 The Boston Arts Commission gave final approval for the sculpture "Reach" (pictured above.) 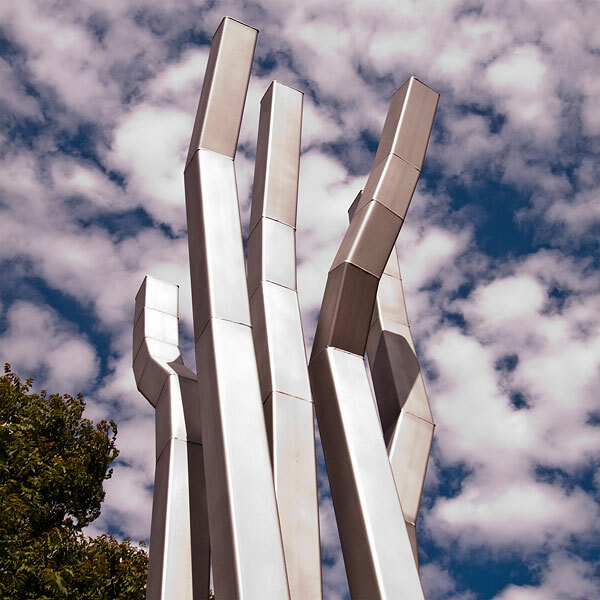 The artwork, a monumental hand reaching up, is composed of 5 - 8" x 8" stainless steel tubes. The sculpture symbolizes the immigrant experience of reaching up to climb the ladder of success in America. The Hyde Square Task Force received a grant from Art & Community Landscapes, a program of the New England Foundation for the Arts, which supports site-based art as a catalyst for increased environmental awareness and stewardship. 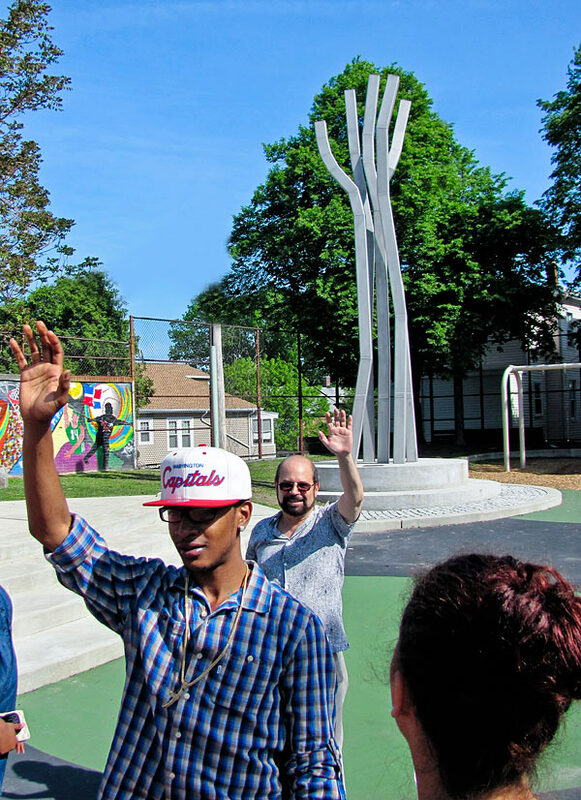 The grant supports the planning and design of a sculpture feature in Mozart Park, a 0.81 acre, building-lot size park located along Centre Street in Jamaica Plain's Hyde/Jackson Square neighborhood of Boston, Massachusetts. The artist held a number of meetings with the Hyde/Jackson Square community to to introduce his work and design process. The many interactions with the Hyde Square Students and the Hyde/Jackson Square community helped to inspire the design of the sculpture. New England Foundation for the Arts announces grant for the Mozart Park Project.